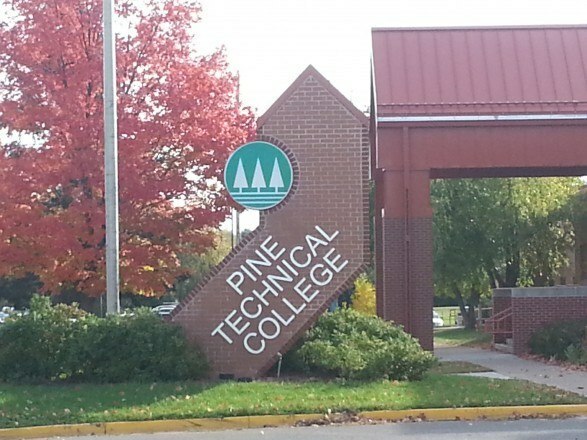 Pine Technical College is situated in the city of Pine, Minnesota. It was founded in the year 1965 and is composed of three buildings which are the Continuing Education and Customized Training, the main building and their newest building is the Pine Innovation Center which opened in 2014. Pine Technical College is known for their Gunsmithing Program, which will prepare the students for their future in Gunsmithing. Their courses include areas in shotguns, handguns, rifles, stocks, and other types of firearms. Graduate students will competently get to operate these tools for them to know if there are any malfunctions so they can repair it using the skills that they acquired. Typically, students will be taught about the fundamentals of machining, including blueprinting and tooling, refinishing and finishing of metals, checking and repairing of firearms, and as well as custom and stock making of firearms. Students will also learn the regulations and laws regarding firearms. The Firearms Technician Skills Certificate will teach students the basics of Microsoft Office, function and design of bolt action, lever and hinge, regulations and firearms business, brazing, soldering, welding, heat treating, metallurgy, measuring tools, introduction to CAD and job seeking. The Gunsmithing and Firearms Technician Apprentice Certificate will teach students on the installation of accessories, function and design of self-loader and pump, function, design, and repair of the handgun, college composition and technical communications. Gunsmithing and Firearm Technician Journeymen Diploma will teach students on fixturing and tooling, chambering and barreling, blueing and polishing, one and two piece stock making, shotgun smithing, rifle smithing, metal smithing, introduction to CAM, machining fundamental 1 and 2. PTCC offers two types of options for enrolling with the Gunsmithing Program. For full time students, they need to meet all the assessments for reading, writing and math. They are also expected to partake with the programs that include 16 credits and to complete the course within the given semester. For the part time students, they have the option to complete their first certificate within 2 semesters. The students are required to take technical programs while they are completing the necessary courses. Currently I am enrolled at PTC, and I love the school. Their teachers are the down-to-earth friendly type and they’ll stop you in the hall just to chat. Their Desire2Learn online feature is amazing and keeps me connected with class instructor, as well as fellow students. All around it’s a fabulous school. Job Prospects – Pine Tech has many resources to help you find jobs as well as work study programs. They email every student with any new opportunities they receive. They also have a dislocated workers program right inside the school and a career center to assist you as well. Great Services – There is very good job placement in the gunsmithing department. The school also keeps in touch with alumni to gather job information and invite them to participate with the school. Pine Technical and Community College offers a comprehensive gunsmithing program to students who are planning to enroll full-time and part-time. They have different programs and courses to enroll to, for students to have different options to choose from. The college will teach the students everything they need to know about gunsmithing from the most basic ones to the technical ones. Another good thing about Pine Technical and Community College is that they have wide job placements for graduate students. Click here for more information on the top 5 gunsmithing schools.